We are very excited to let you all know that Tree Fu Tom is going on tour! Join hero Tree Fu Tom, as he takes to the stage in his first ever nationwide ‘live’ tour in 2015. With dates in theatres across the UK, running from April through November, fans of the CBeebies show will be able to follow the adventures of Tom, Twigs and friends on an action-packed adventure through the magical world of Treetopolis! Tree Fu Tom Live, aimed at 4 – 8 year olds, is set in an enchanted world where movement creates magic. Tom appears to be a normal boy but putting on his magic belt and performing a special sequence of magic action-movements known as Tree Fu sees him transform into a mighty magical super-hero. 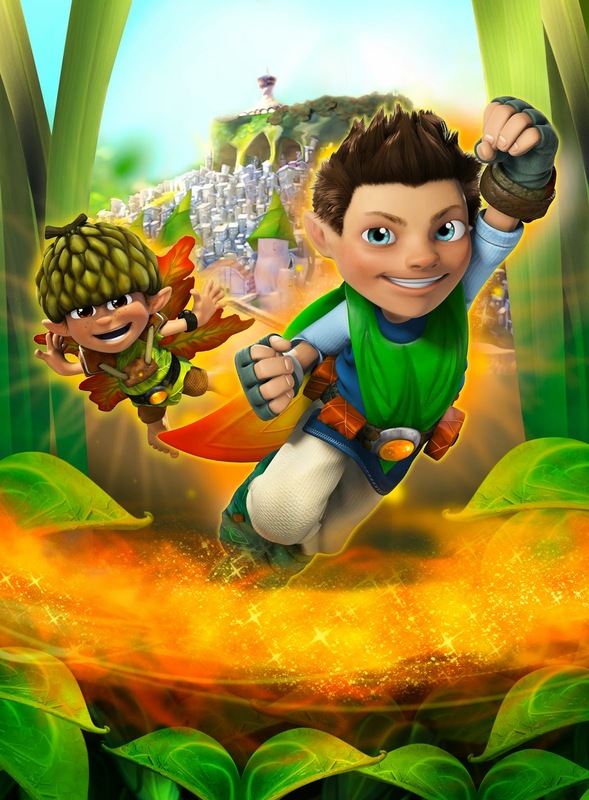 Tree Fu Tom which made its broadcast debut in 2012 is hugely popular around the world with a third series recently commissioned. Follow Tom, Twigs and friends on an action packed adventure through the magical world of Treetopolis! After finding a dusty old treasure map, Tom decides to follow it and see where it leads – but it’s not an easy route! Tom and his friends must travel through wild weather and stop the mischievous Mushas who are making trouble. Will Tom save the day? Will he find the treasure? What will the treasure be? Come along and find out! Tree Fu Tom Live is full of fun, music and laughter and Tom will certainly need your help to do the Tree Fu moves that could help save the day. I think this looks like a great show and there are so many venues to choose from as well! Some of the times haven’t been confirmed as yet so contact the venue for more information and keep an eye on the website for updates!